Campbellton town sign, Atascosa County. Image available on the Internet and included in accordance with Title 17 U.S.C. Section 107. CAMPBELLTON, TEXAS. Campbellton is on U.S. Highway 281A, Farm Road 1099, and the Atascosa River twelve miles east of Christine in southeast Atascosa County. It is named for John F. Campbell, who came to Texas in 1855 from Ireland to establish a ranch. He encouraged other settlers to join him in Atascosa County in the 1860s and was the first postmaster when the town acquired a post office in the 1870s. During that time Campbell opened a general store, founded the first school, and hosted Catholic services in his home. By 1894 the town had a population of twenty-five. Campbellton was strategically located on the highway from San Antonio to the Rio Grande Valley. By 1890 its population had grown to thirty, and the town had three churches (Baptist, Catholic, and Union), a gin, two livestock breeders, and a lumberyard. The community in the mid-1890s had lost population but added a general store and another livestock breeder. In 1904 the local school had thirty students and one teacher. The number of cattle breeders in Campbellton increased to seven by 1914, and the population again rose to thirty. While it remained primarily a ranching community, Campbellton profited from the arrival of the San Antonio, Uvalde and Gulf Railroad in 1912. By 1914 the school had 169 students, and local beekeepers were manufacturing honey for commercial purposes. 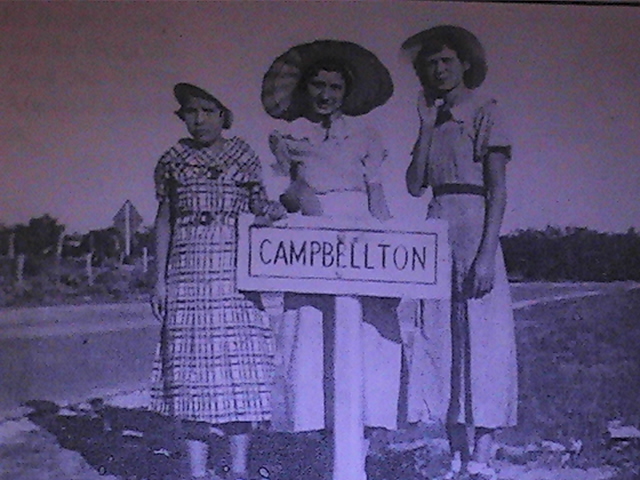 Campbellton had fifty residents in 1925, 368 in the 1950s, and an average number of ten businesses during that period. Oil was discovered in the area in 1956 but did not eclipse ranching. The school had 240 students and seven teachers in 1938. After 1964 area children beyond elementary school age were sent to Pleasanton to continue their education. The population in Campbellton remained 275 from the 1960s through 1990, when it had three businesses and a post office. In 2000 the population was 350 with ten businesses. Atascosa County Centennial, 1856–1956 (Jourdanton, Texas: Atascosa County Centennial Association, n.d). Atascosa County History (Pleasanton, Texas: Atascosa History Committee, 1984). Margaret G. Clover, The Place Names of Atascosa County (M.A. thesis, University of Texas, 1952). Handbook of Texas Online, Linda Peterson, "CAMPBELLTON, TX," accessed April 22, 2019, http://www.tshaonline.org/handbook/online/articles/HLC05. Uploaded on June 12, 2010. Modified on April 29, 2016. Published by the Texas State Historical Association.